It goes to show that in this game should never make your mind up irrecoverably. Before testing we didn't expect much of Toro Rosso this year beyond struggle. Due not least to it being left holding the Honda power unit when the music stopped. Two weeks of testing later and things look a little different. 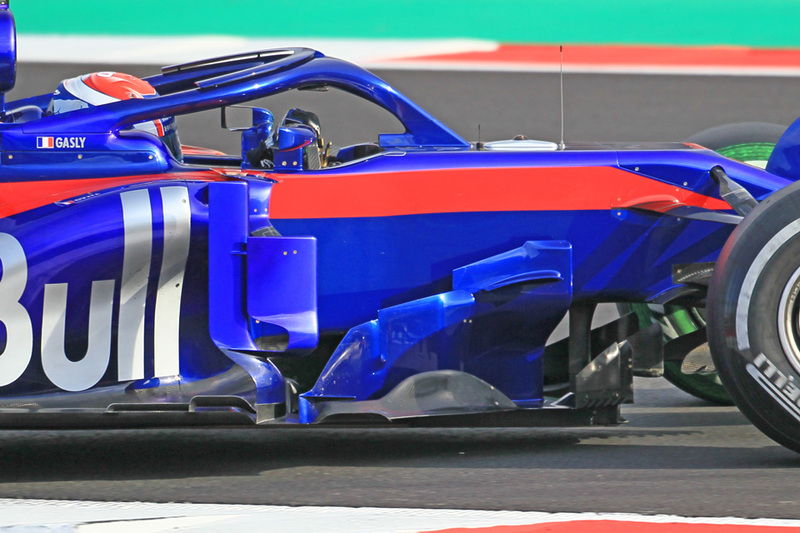 Toro Rosso with the supposedly ultra unreliable Japanese unit in fact topped the mileage charts in testing's first week. And while accepting the weather disruption made that part slightly odd, even at the end of testing overall only the much better resourced Mercedes and Ferrari out-ran it. There was only one (minor) Honda failure that anyone was aware of. Honda indeed near enough doubled the pre-season mileage it got 12 months ago. In a more broad sense some yet hold out hope of the Honda unit's ultimate potential. The resources are there of course, as presumably is its commitment given it's still around post McLaren's ditching. McLaren at the same time demonstrated in Barcelona that not all of its problems in the past three seasons had been Honda ones. Toro Rosso even beat the McLaren in the speed traps. Having a less intense and high-profile environment than at highly-strung McLaren was always likely a benefit to Honda; Toro Rosso also appears to be making an effort to cheer Honda up such as being very nice about the engine in public. Team-engine supplier communications are far improved from the McLaren days and some Toro Rosso staff even have been taking Japanese lessons. Technical director James Key is considered particularly strong at building bridges, and has experience of working with Honda from his Jordan days. 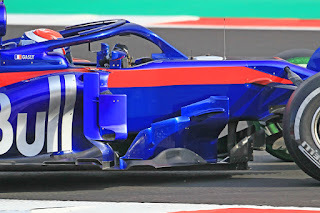 The more balmy and collaborative relationship applies technically too, with it believed that Toro Rosso agreed that Honda could stretch the unit by 2cm to improve performance and reliability. Something McLaren may have been less accommodating about. We shouldn't get too overexcited though. While the Toro Rosso has been reliable there are doubts about its pace, and its front end is thought to be weak. Even the smooth running may be a bit of a mirage as it was revealed that three separate Honda units were used in the eight days, the same number permitted for the entire season proper. Then again only one power unit was used across the course of the four-day second test. Toro Rosso's driving pairing meanwhile is an unknown quantity in direct F1 terms, while with Carlos Sainz way ahead of both in the Red Bull pecking order it's not clear what the carrot is in front of them. Still the noises from the team are bullish. And for now it's all going much better than anyone could have dared hope. Pierre Gasly's case is an odd one. Winning the GP2 championship as a Red Bull junior, with at the same time one of Toro Rosso's drivers in Daniil Kvyat flapping all over the shop, you'd think would make your F1 promotion a no-brainer, even for the sometimes rather individual Helmut Marko. But for the 2017 season start Gasly was studiously overlooked, and word emerged that the Bulls didn't think him all that; that he'd made too heavy weather of his GP2 title. A strong campaign in Japanese Super Formula later though and he got his belated Toro Rosso chance late in 2017 from Malaysia onwards (Austin aside), replacing Kyvat who hadn't improved a great deal in the meantime. It was hard to judge Gasly in those late rounds given for most of this time he had an equally inexperienced (in F1) stable-mate, a series of engine problems and grid penalties, as well as a car that seemed to be drifting from the pace in any case. But aside from the odd beginner's error, such as timidity in Malaysia's race, a lock up costing points in Japan and a spin in Abu Dhabi, he was accomplished at the very least. 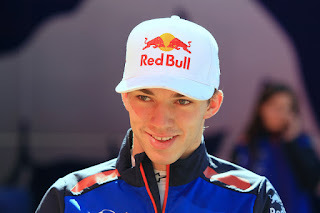 And alongside known-quantity Carlos Sainz in Malaysia and Japan Gasly was near to his laptimes. Not a bad sign. Plenty indeed think Gasly is under-rated; this season will be about demonstrating as much. In the age in which F1 career prospects can be dashed by the age of 21 it is gratifying to find examples of those not forgotten forever. 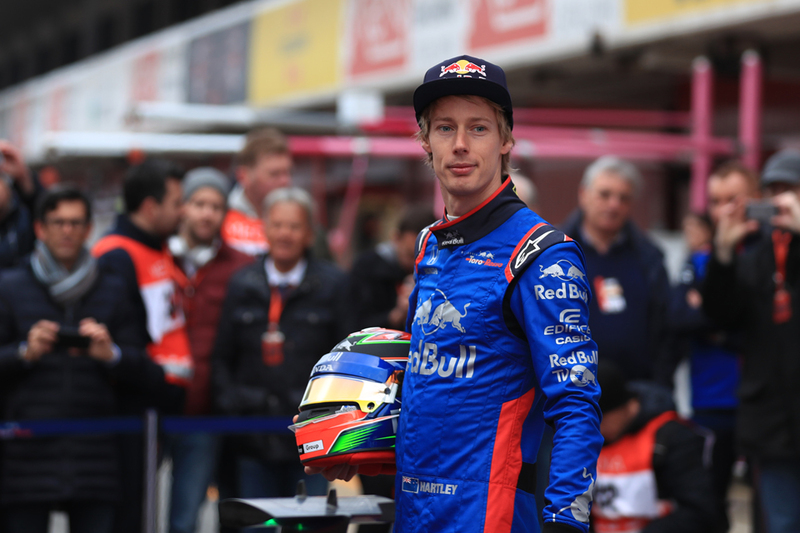 Brendon Hartley's F1 prospect was one such apparently dashed early, him being discarded by the Red Bull programme way back in 2010. But a successful sportscar career later, along with a wacky merry-go-round of Red Bull drivers last year, and Hartley was out of the blue brought back into a Toro Rosso race seat for the late rounds. And he stays in for 2018. Given that it was the first time he'd driven any single seater since 2012 it's hard to judge his F1 specific potential from those appearances; that he got a technical grid penalty every time made it even harder. His reputation from WEC though was not only as one quick and talented but also one super-human in his ability to stretch out a fuel load. This may be more important this year with the extra weight and high centre of gravity from the halo. But as with Pierre Gasly he at least looked accomplished having been thrown in last year, showed solid pace and unlike Gasly didn't make conspicuous errors. Only underwhelming qualifying in Abu Dhabi can be counted against him. In 2018 he appears to have little to lose, and that is often a privileged place to be. Hi Brendon. I hope you have an awesome year this year. All of us Kiwis believe you can do it, so go hard and show them all that Kiwis can fly!! Cheers Kerry Hewitt.